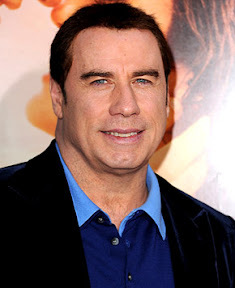 John Travolta extortion case charges have been dropped. According to TMZ, Tarino Lightbourne and Pleasant Bridgewater, who were charged with trying to allegedly extort millions from the Travoltas in return for keeping an ambulance waiver secret on the day their son Jett died, could be free from charges. According to Press Association, A judge in Nassau dismissed the charges after the prosecutor said the Hollywood star no longer wanted to pursue the case. Prosecutor Neil Braithwaite had submitted a motion to drop the case after a jury had already been picked and a retrial scheduled for the two defendants. “The Travolta family has said that this matter has caused them unbelievable stress and pain and they wish to put this whole thing behind them,” Mr Braithwaite said. Ambulance driver Tarino Lightbourne and his lawyer, politician Pleasant Bridgewater, were accused of threatening to release private information about the death in January 2009 of Travolta’s 16-year-old son Jett at the family holiday home in Grand Bahama. Lightbourne, who was among the medics who treated Jett, allegedly sought 25 million dollars (£16 million) from the actor with the assistance of Bridgewater, who resigned her seat in the Bahamas Senate after she was charged in the case. A judge declared a mistrial in October after a Bahamian politician suggested the still-deliberating jury had acquitted one of the suspects. “The long-pending status of this matter continued to take a heavy emotional toll on my family, causing us to conclude that it was finally time to put this matter behind us,” he said in a statement.